Introducing our New Whole Body Massage Studio Featuring revolutionary technology from VibraSlim and Maha USA! Decreases cellulite and improves your body’s natural collagen levels. Increase muscle strength – as much as 50% in as little as 3 weeks! Elevates your serotonin and neutrophine levels (better mood and sense of well being). In preventing falls and the bone fractures that often result from them, enhancing bone mineral density is not the only important issue. Increased muscle power, postural control and balance are also factors worthy of consideration. Studies involving elderly subjects have shown that all of these issues can be improved using whole body vibration (Roelants et al. 2004 , Bautmans et al. 2005 , Bogaerts et al. 2007 , Kawanabe et al. 2007 ). What is the price schedule for the whole body vibration? First three sessions are free. Please call 541-344-8912 to set up an introduction. 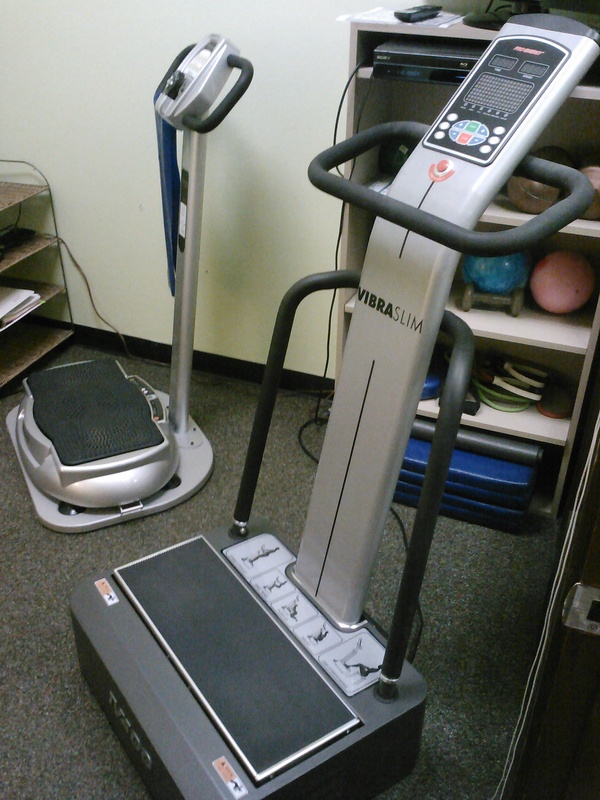 Normally, Whole Body Vibration is $50 a month and we ask for a three month commitment, for unlimited use. This month we are offering a special 25% off Whole Body Vibration in honor of our new location, 1551 B Oak St.
R u having any specials on the wbv this month? I’ve never tried it before, but I’ve been reading a lot about it! Sounds exciting, for me anyway! I have fibromyalgia, tmj, migraines, degenerative bone disease, degenerative joint disease, bursitis, 5 bulging disc’s in my low back & a lot of scar tissue. I know right? Pointless? Well I’ve been trying to get out of the chair this summer & work in the garden, so I do feel better, but I have constant back pain! I’m hoping that wbv will help!